Winning – Maverick Energy Consulting – Implement price risk management strategies for natural gas, diesel fuel, unleaded gasoline and electricity. I was amazed at the results. Not only did Maverick lower my price by 13%, they also audited my current contract and invoices, and negotiated a $12,500 refund from my current supplier! I never would have been able to achieve these savings without their help. We sit on your side of the table. We do the shopping for you. We use our experience to negotiate the BEST supplier terms, protect your business and maximize your savings. Relationships with the best suppliers in the industry. Customized Metrics and Reports that work for you! 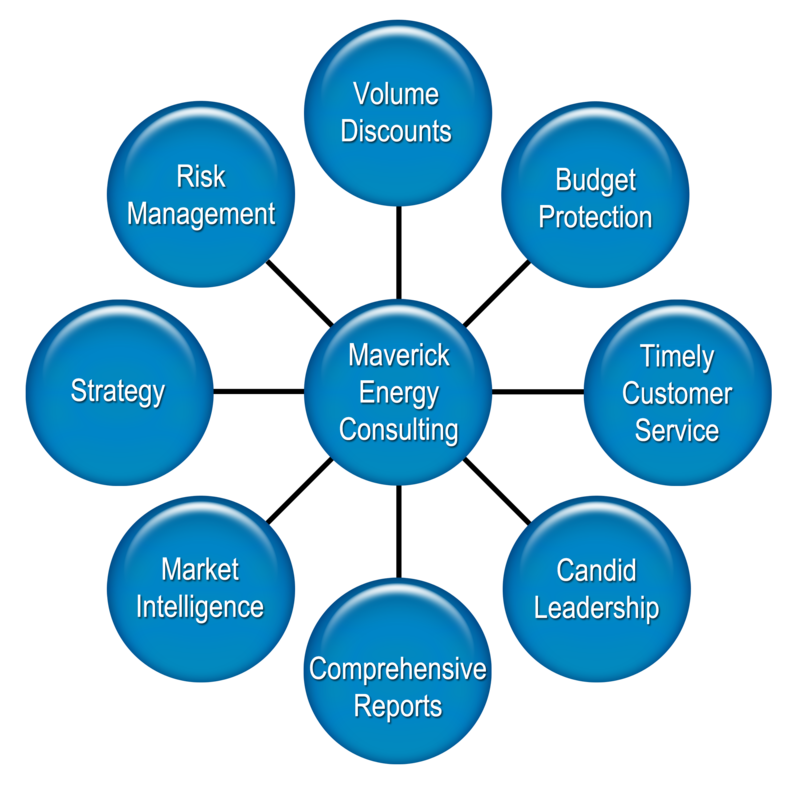 Say hello to an easier way of purchasing energy, say hello to Maverick Energy Consulting.